Auditory and language processing deficits can be multi-faceted and complex, and knowing where to turn to help a child with these challenges can be overwhelming for parents. Sound or listening therapies might be helpful for some children, and in fact, anecdotal evidence abounds of children making significant language processing gains after undergoing such programs. Some forms of sound therapy cite clinical research studies touting average developmental gains for its participants of one to three years. Sound therapies, however, are not without controversy. Some professional organizations have studied the available literature on Auditory Integration Training (AIT), one of the most widely used forms, and have recommended that it be considered “experimental treatment.” But anecdotal reports of the therapies’ benefits have prompted many of these same organizations to revisit the subject and even form special task forces to look more deeply at these interventions. Adding to the controversy is that many therapists aren’t knowledgeable about the various forms of listening therapy or cite a lack of peer-reviewed research as a reason for parents to avoid some of them. In addition, some providers of these therapies have a biased point of view, making it difficult for parents to get an objective opinion of whether these interventions are appropriate for their children. And, these therapies, which insurance policies often do not cover, can come with a hefty price tag with some costing upwards of $6,000. With such conflicting information, it behooves parents to be informed consumers by doing their homework about why such programs might be effective, analyzing the research that has been done and contacting providers experienced with these therapies. These therapies are known by many names, including Fast ForWord, The Listening Program, Tomatis, AIT, SAMONAS, Earobics and Interactive Metronome. Each program has its unique parameters. For example, some programs involve more “passive” listening while others require some form of interaction or response. Some programs are clinic-based while others are carried out at home or in school settings. With few exceptions, these programs require certification or training for the practitioner beyond their professional background. At the core of all of these programs is a claim that they work to strengthen the “foundational” aspects of a child’s neurological functioning, including auditory processing and attention, says Kellie Hetzel, a speech therapist with Aurora Strategies. Hetzel, who is trained in and administers Fast ForWord, Interactive Metronome, Earobics and The Listening Program, describes an analogy between a house with a crack in its foundation and the neurological processes that various listening programs address. “If auditory processing and attention, along with the other sensory areas involving movement, touch and vision are located in the foundation of the house or the brain, and if there is a weakness in that area, then it’s difficult to support the various floors of the house, which are the acquisition of math, reading, science and other subjects,” Hetzel says. Because the programs are stimulating neurological processes in a foundational way, Hetzel says, children often will see side benefits of an increase of social skills, coordination, fine and gross motor activities and executive functioning. If, after doing some due diligence on sound therapy, a parent decides such an intervention could benefit his child, the next step is selecting an experienced, credible provider. Hetzel says parents should approach this process just as if they were hiring a contractor to come into their house. Parents should go to provider Web sites and provider directories and call at least three of them, Hetzel says. Parents should ask providers how many children they have taken through the program, what their success has been, how many children they have worked with in the past six months to a year and how they implement the program, Hetzel says. In addition, parents need to be sure they select someone whom they respect and with whom they feel comfortable working. Another important issue, Whitelaw warns, is to rule out any hearing issues by consulting first with an audiologist. Mili Cordero, an occupational therapist who offers SAMONAS, Tomatis and Therapeutic Listening, makes sure that parents are part of the intervention process. For the home-based Therapeutic Listening and SAMONAS programs, Cordero requests parents attend a training session. The various sound intervention programs have vast differences in the theory behind them and in how they are implemented, but many have similar goals for their end result. Some children and adults who have been helped by these various forms of therapy include those who have been diagnosed with learning disabilities, sensory integration disorders, executive functioning disorders, auditory processing disorders, pervasive developmental disorder, autism, Asperger’s Syndrome, attention deficit disorders and social skills difficulties. Developed and marketed by Scientific Learning Corporation, the Fast ForWord programs consist of nine language and reading programs. Fast ForWord Language, the company’s first and most widely known program, aims to improve a child’s auditory processing skills through a series of seven exercises. The interactive games aim to strengthen a child’s cognitive skills, which the company refers to as “learning MAPS”: memory, attention, processing, and sequencing. By developing these cognitive areas, company literature states, struggling readers form a solid foundation by sharpening listening accuracy, phonological awareness, and language structures. 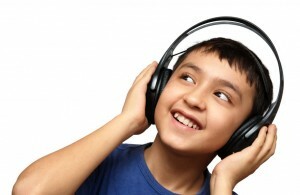 The program, which requires high-quality headphones and a computer, is most appropriate for children ages 4 to 14 though it can be used with significantly older children who need a stronger auditory processing foundation, Hetzel says. The program can be administered at home, at school or in a clinic setting. Children spend between 50 and 100 minutes five days per week on the program for a period of four to 12 weeks, according to Scientific Learning. The intensity of the protocol, according to Scientific Learning, is the key to positive and long-lasting effects on brain development. Though intense, Fast ForWord practitioners point to the flexibility and ease of use as some of the program’s best features. The program alerts administrators if a child is having trouble with any area. The software then will give the provider a list of several different activities to implement to help move a child forward, Hetzel says. Other professionals say that they have a comfort level with the program because it has substantial research backing up its efficacy. Fees for the program range between $1,500 to $4,000, depending on whether the program is administered at home or in a clinic. In some cases, Fast ForWord is offered by the school district at no direct cost to the family. Building on this principle, Tomatis said that this improper functioning of the ear is the underlying reason for difficulty with learning, auditory processing, sensory integration, language comprehension or production and other related areas. In an effort to “reprogram” the ear, Tomatis developed an Electronic Ear which has several specific functions, including exercising and strengthening the muscles of the middle ear so it can filter out sounds and lower frequencies so that only the higher more stimulating frequencies are heard. Cordero of ITT’s For Children requires an occupational therapy and an audiological evaluation before enrolling a child in Tomatis. Once enrolled, the in-clinic program is carried out in a series of three “loops”. The first loop is two hours of listening per day for 15 consecutive days followed by a four- to six-week break. The second and third loops consist of eight consecutive days of listening for two hours per day with a break of four to six weeks between the two loops. The total cost for the program, according to Cordero, is $6,200 or $100 per hour of listening time. Dr. Guy Berard, a French physician who had studied and worked with Tomatis, believed that hypersensitive hearing causes auditory processing problems. Berard developed AIT, which works on retraining the acoustic reflex muscle in the middle ear allowing sound to be processed more efficiently, according to K & L Solutions, a College Park-based company that provides the therapy. AIT: Auditory Integration Training (AIT) is a form of sensory integration therapy. Sensory integration is the ability to take in, sort out and connect information from the world around us. Problems with sensory integration may include oversensitivity or lack of response to one or more types of sensory experience. Sensory integration dysfunction can result in difficulties with attention, speech and language, academic achievement or behavior. The most notable story of AIT success is chronicled in “Sound of a Miracle,” a book written by Anabel Stehli about her 12-year-old daughter’s experience with the therapy. Stehli’s daughter, Georgiana was diagnosed with autism but lost her autistic systems, most notably her sound sensitivity, after undergoing the 10-day AIT program in Europe. Now 40, Georgiana travels across the world speaking about her experience. 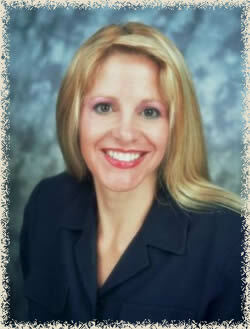 She is president of the Georgiana Institute, an organization which promotes AIT (www.georgianainstitute.org). AIT is administered in 20 sessions of 30 minutes each. AIT participants listen twice per day with a break of at least three hours between sessions. K & L Solutions assesses each participant after 10 sessions, and if warranted, the company makes changes to the program at that point. At the conclusion of the program, K & L Solutions administers a final assessment. The cost for the therapy, according to K & L Solutions, is $650 for the basic listening session. SAMONAS is a CD-based program developed by Ingo Steinbach, a German sound engineer. The program, which can be self-guided or administered by a professional with SAMONAS training, consists of more than 40 specialized recordings. Most of the selections are classical music and some include nature sounds. The SAMONAS program offers CDs that vary in intensity. Cordero administers SAMONAS in her practice. Her protocol requires an occupational therapy evaluation and a parent training session before the program begins. Cordero requires the first day of listening to be completed under the occupational therapist’s supervision. Following the first session, participants will listen at home while staying in close contact with the prescribing therapist so that adjustments can be made to the program if necessary. The SAMONAS participant listens twice a day, every day for as long as the program is needed, Cordero says. The music being used in each program will be re-evaluated after three months and then again after six months of listening. Cordero charges $120 for the parent training, and necessary equipment costs the parent $300 to $500, Cordero says. Developed by Vital Links, Therapeutic Listening is research-based tool for treating people of all ages who have difficulty with processing sensory information, listening, attention, and communication. Used by thousands of therapists around the world, Therapeutic Listening is a highly individualized, music based tool that activates listening to help people tune-in to and respond to their world.High quality music, recorded specifically for Therapeutic Listening, is altered to exaggerate the sounds that naturally capture attention and tap into the parts of the brain involved in regulating bodily functions, relating to others, and organizing behavior. Therapeutic Listening uses sound stimulation in combination with sensory integrative techniques. Strategies that are emphasized include vestibular, postural and movement strategies. 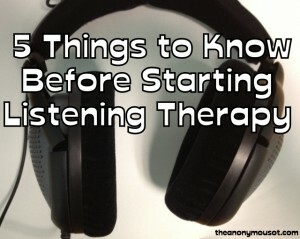 This treatment technique involves listening to specifically modulated and filtered music on compact discs through a headphone. Therapeutic Listening integrates a number of electronically altered compact disc, based on the ideas and technology created by Alfred Tomatis, Guy Berard, and Ingo Steinback, within a sensory integrative frame of reference. Tomatis developed his theory in regard to the development of hearing in utero and the impact of an auditory stimulus on all aspects of development including movement processing. He recognized the sensory integrative value of an auditory stimulus. Dr. Guy Berard trained and worked with Dr. Tomatis. Berard developed his own device and protocol to reduce the time required to produce results. He emphasized the auditory stimulus impact on behavior and language. Ingo Steinback was influenced by Dr. Tomatis. He developed Samonas sound therapy which is based on the principles of music therapy in accordance with development aspects and natural laws of physics related to sound. He emphasizes the global impact of specific auditory stimulus on physical, emotional, and energetic development. “My experience makes me recommend auditory therapies as part of the treatment for our children with multisensory communication impairments. I believe a multisensory approach will be proven to be most effective for our children down the road -I just don’t believe in waiting and was thrilled to have an open-minded SLP like Michelle working with Tanner. Developed by Advanced Brain Technologies, The Listening Program is a music-based auditory stimulation method that “trains the brain” to help improve the auditory skills needed to effectively listen, learn and communicate, according to company information. CDs include classical music by Bach, Vivaldi, Mozart, Corelli and others mixed with nature sounds intended to aid in spatial awareness and listening training. 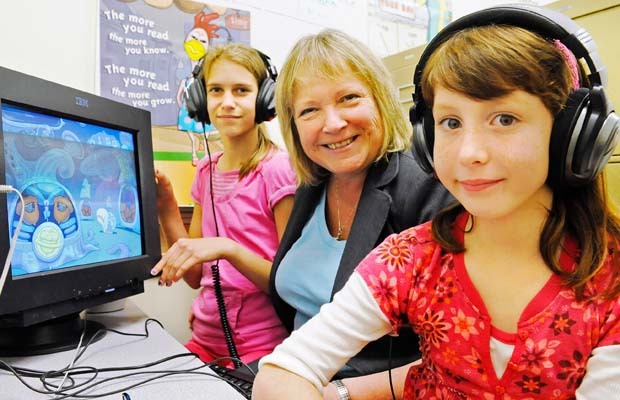 Advanced Brain Technologies says the program is particularly effective for improving auditory processing problems including short-term auditory memory and effective listening with background noise. The program is primarily for home use and for implementation in facilities such as schools and healthcare centers. The Listening Program’s core program is typically administered five days per week for 15 to 30 minutes each day. The protocol lasts between eight to 16 weeks. Listeners might go through a second cycle to ensure they maintain their results, the company says, and some participants might even repeat the program a third time. Aurora Strategies charges $575 for The Listening Program, which includes pre- and post-testing, program CDs and materials, a consultation with a certified provider, monitoring and a follow-up report with recommendations. The Listening Program is comprised of psychoacoustically refined soundtracks. Specially selected, re-arranged, re-recorded classical music (featuring Mozart) and nature sounds have been processed in post-production with sophisticated sonic technologies. The Listening Program respectfully builds on the theories and clinical research of Dr. Alfred Tomatis, and other sound pioneers. Developed by an interdisciplinary team of educational, therapeutic, medical, music and sound professionals, The Listening Program helps to train the ear and brain to perceive a full spectrum of sound without distortion. Earobics is a computer software tutorial program designed to teach phonological awareness, listening and introductory phonics skills required for learning to read and spell. Cognitive Concepts, the company that developed and markets Earobics, offers three levels of the program for home use. In addition to phonological awareness, these software programs include skill development in auditory attention, auditory discrimination, auditory memory, rhyming, sound segmentation and phonemic synthesis. The home-based programs are available for $59. Some local school districts also offer Earobics to their students at no direct cost. 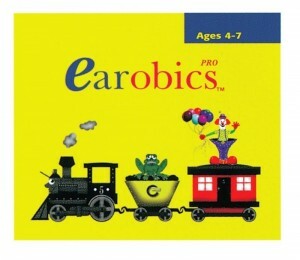 Earobics Step 1 is for children in pre-k through kindergarten, Step 2 is marketed for first and second graders and Earobics 1 for Adolescents and Adults is for children age 10 and older who are struggling to read, spell and improve comprehension. Company literature says most program users show significant skill improvement from using Earobics only 15 to 20 minutes per day, three times a week. Interactive Metronome is a computer-based program participants can do at home or in a clinic or school setting. The program, which filters computer-generated beats through headphones, challenges users to synchronize repetitive hand and foot exercises that are measured through hand and foot sensors. The sensors record, in milliseconds, the difference between the metronome beat and participant’s response. The goal is for the participant to match the rhythmic beat or to lower the amount of time between the beat and the response. Greenspan says that Interactive Metronome has been shown to improve motor skills and attention span as well as increase coordination. The therapy teaches participants to focus and attend for longer periods of time, increase physical endurance and stamina, filter out internal and external distractions and improve the ability to monitor mental and physical actions as they are occurring, according to the Interactive Metronome Web site. Costs for Interactive Metronome therapy varies widely depending on provider fees and the setting in which the therapy sessions take place. Hetzel of Aurora Strategies says prices range from $35 to $120 per hour, and some providers will package the therapy for the entire length of the session. The therapy typically consists of 15 one-hour sessions and spans a three- to five-week period. Throughout the therapy, the program progressively challenges individuals to improve their response time and accuracy. “In a review article in the October 2005 Nature Reviews Neuroscience, Buhusi and Meck discuss the current state of understanding of one of the brain’s most important, and mysterious, clocks — the one governing timing intervals in the seconds to minutes range. Such interval timing occupies the middle neurological ground between two other clocks — the circadian clock that operates over the 24-hour light-dark cycle, and the millisecond clock that is crucial for such functions as motor control and speech generation and recognition. Meck is a professor and Buhusi is an assistant research professor in the Department of Psychological and Brain Sciences. 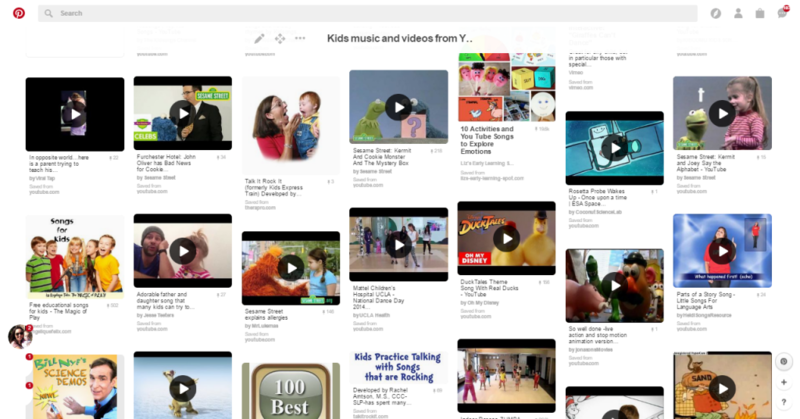 Question: What has an obscure 80′s pop song and Sesame Street got to do with ADHD and dyslexia? I’m currently digging around on Google Scholar for information on hand clapping. Why? because connections between dyslexia and poor rhythm have been found and the Interactive Metronome has generated some interesting research on rhythm and academic achievement. The role of coordination is also well documented. So as clapping is a simple activity that involves coordination and rhythm it should provide an interesting insight into neurological development and learning disorders. As a starting point, I wanted to look at when and how children without learning problems develop their clapping skills? Work from 1996 (Dynamical Patterns in the Development of Clapping) found that it developed been the ages of 3 and 7. When combined with another task, i.e. walking, children had reached an adult level skill by the age of eight. However, in the harder task of clapping and running, ten years did not reach an adult level of skill (see How do children coordinate simultaneous upper and lower extremity tasks? The development of dual motor task coordination). It seems that pure rhythmic ability developers earlier than this. Looking at the ability to simply tap along with a rhythm the study, Spontaneous motor tempo and rhythmical synchronization in 2½- and 4-year-old children, found that “regular spontaneous manual tapping tempo could be observed in children as young as 2½ years”. These studies suggest that basic rhythmic ability starts at about 2 1/2 years old with clapping skills developing from three upwards. By the age of seven most children can clap in time and by ten they can combine it with other tasks. Having established a baseline, the next step is to look for research on the clapping abilities of children with learning problems. I will be writing about this subject in the next few days. Although there are many anecdotal stories regarding gains made with various sound therapies, Whitelaw warns parents to be realistic about their expectations. Whitelaw says she is confident that there is no inherent danger in these programs, but a family’s time, financial and psychological investment needs to be weighed carefully. Like many parents, Meg Stasinos was desperate to find help for her daughter, Sydney. When Sydney was about 3 years old, Stasinos began interventions for her child who had language processing, social and motor skills deficits. But, despite trying special diets, speech, and language as well as other intensive therapies, nothing seemed to help Sydney make significant progress. All that began to change when Atlanta neuropsychologist David Cantor referred Sydney to Aurora Strategies as a potential candidate for sound therapy. Aurora Strategies speech and language pathologist Kellie Hetzel prescribed The Listening Program last fall for then 5-year-old Sydney. Sydney’s protocol while on The Listening Program consisted of her listening to the CDs two times per day for 15 minutes each session. The program for Sydney lasted eight weeks, and according to Stasinos, she enjoyed her listening sessions. Although Stasinos informed Sydney’s teachers of the therapy, other people the 5-year-old saw every day noticed changes although they knew nothing about the intervention. After completing The Listening Program, Hetzel prescribed Fast ForWord for Sydney. She went through the program on her home computer five days per week for one hour and 40-minute sessions. Despite Sydney’s young age and attention issues, she persevered through the program because the games were fun and she received positive feedback as she progressed. Sydney emerged with significant improvement at the end, Stasinos says. Pre-and post-testing showed gains in several areas including language discrimination and phonics, but for Stasinos, the “day-to-day” observational improvements were even more important. Kids who could keep a beat had superior skills related to reading and language than did those whose rhythm strayed. Music Therapy Makes A Difference: The mission of the American Music Therapy Association is to advance public awareness of the benefits of music therapy and increase access to quality music therapy services in a rapidly changing world. AOSA Web Site: The American Orff-Schulwerk Association is a professional organization of music and movement educators dedicated to the creative teaching approach developed by Carl Orff and Gunild Keetman.We are joined by our belief that learning about music – learning to sing and play, to hear and understand, to move and create -should be an active and joyful experience. M.I.N.D. Institute: Music – Intelligence – Neural – Development Research into the Mozart Effect, music and math education. Center for Biomedical Research in Music:Auditory motor and cognitive neuroscience neurologic rehabilitation.Rhythm perception, rhythm production, and rhythmic synchronization.Neuroscience of music and scientific foundation of music therapy. Music therapy is the prescribed use of music and musical interventions in order to restore, maintain, and improve emotional, physical, physiological, and spiritual health and well-being. Within this definition are the key elements which define interventions as music therapy. Music therapy is prescribed by members of the client’s treatment team. Members can include doctors, social workers, psychologists, teachers, caseworkers, or parents. Music is the primary therapeutic tool. Using music to establish a trusting relationship, the music therapist then works to improve the client’s physical and mental functioning through carefully structured activities. Examples can include singing, listening, playing instruments, composition, moving to music, and music and imagery exercises. Music is administered by a trained music therapist. A music therapist’s education and training is extensive. Musical interventions are developed and used by the therapist based on his/her knowledge of the music’s effect on behavior, the client’s strengths and weaknesses, and the therapeutic goals. Music therapy is received by a client and it targets a wide range of clinical populations and client ages. Music therapy works towards specific therapeutic goals and objectives. Goal area includes communicative, academic, motor, emotional, and social skills. It is important to be aware that while clients may develop their musical skills during treatment, these skills are not the primary concern of the therapist. Rather it is the effect such musical development might have on the client’s physical, psychological and socio-economical functioning. What types of people do music therapists work with? You can find music therapists working with a wide variety of people. Some examples include the mentally ill, the physically handicapped, those who have been abused, the elderly including those suffering from Alzheimer’s and dementia, the terminally ill, the mentally retarded and the developmentally delayed, the traumatically brain injured, those with learning disabilities, as well as those persons who do not suffer from a clinical diagnosis. How long has the field of music therapy been around? Music therapists work in hospitals, nursing facilities, schools, treatment centers, hospices, group homes, as well as in private practice. Can you tell me some of the kinds of goals a music therapist might address? Music therapists work towards a number of non-musical goals including improving communication skills, decreasing inappropriate behavior, improving academic and motor skills, increasing attention span, strengthening social and leisure skills, pain management, and stress reduction. Music therapy can also help individuals on their journey of self-growth and understanding. Tell me about some of the music therapy interventions that might be used in a typical session. 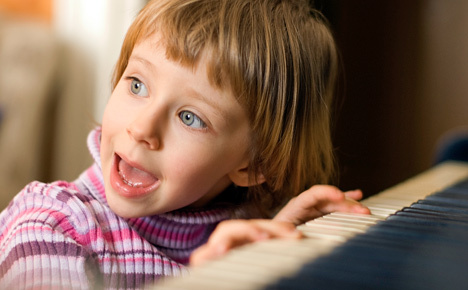 Music therapists draw from an extensive array of music activities and interventions. For example, the therapist and client might compose songs for the purpose of expression of feelings; one client might learn to play the piano for the purpose of improving fine motor skills, while another client might use instruments to improvise unspoken emotions. Music therapists may also use music and movement activities, singing, lyric discussion or music and imagery (including the Bonny Method of Guided Imagery and Music) to help the client reach their goals. What is the Bonny Method of Guided Imagery and Music? This technique (known as GIM) was developed by music therapist Dr. Helen Bonny. It is a music-centered therapeutic process to access the human psyche and lead to self-actualization and healing. GIM involves imaging to music in an alternate state of consciousness while sharing the imagery experience with a trained guide/therapist. When used as a therapeutic tool, GIM can lead to a deep uncovering of hidden emotional responses and stimulate creative insights. In 2013, Zumyah Thorpe lost her pregnant mother and two younger sisters in a car accident after they were hit by a drunk driver. Though she survived, the 11-year-old suffered severe physical injuries as well as brain damage. Throughout her recovery at the UH Rainbow Babies & Children’s Hospital, nurses played Mars’s hit songs every night, WKYC reports – and now Thorpe is living proof that music truly does have healing power.